Today’s security camera technology will not only allow you to see what happened but depending on your needs we can implement facial recognition, email notifications and covert cameras. 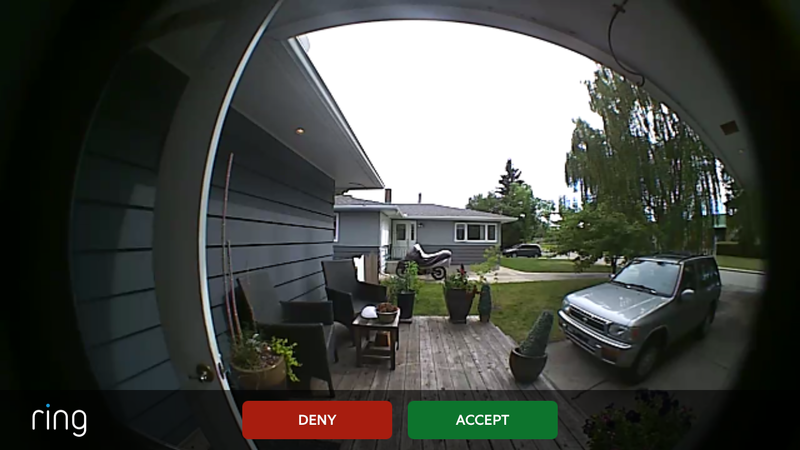 Our NVRs also allow for remote location viewing on most Internet connected devices, including your iPhone, Black Berry, or Android. With so many different applications, our security team will appropriately out-fit your home, office, cottage or commercial building with the appropriate cameras in the most ideal locations. Not all cameras are made equally, but we only use cameras that are built to last through abuse from both vandals and our extreme Canadian weather. ​The FLIR Full HD PoE+ NVR System combines high-speed HD recording with 2.1, 3 and 4MP eyeball dome IP cameras for a formidable security system that outperforms the rest. Installation is made easy with the NVR’s 8× integrated PoE+ ports and auto-detection of IP cameras upon connection. With high capacity 200Mbps processing, the NVR supports 4MP recording on every channel. With Ring, you can monitor your home from your smartphone, tablet or PC. Every Ring device features a wide-angled lens and built-in microphone and speaker, so you can see, hear and speak to anyone on your property from anywhere. This front door intercom is a fantastic addition to any hard-wired camera system. We don't just install and program your front door station, but we also make sure it is hardwired and powered so you never have to bother with recharging the battery. This is something many other installers overlook.